Home Good Books What Do Readers Want? HER: What do you feel is most important when it comes to content on your web site? Me: (Mental response) I don’t know. Me: (Verbal response) Whatever will draw more readers to it and encourage them to buy my books. HER: Why is your blog so author-oriented? Me: (Mental response) Because I’m an author. Me: (Verbal response) Because I write what I want to write on my blog. That’s why I started writing a blog. HER: But your readers aren’t interested in author content. They want to know about your books. Me: (Mental response) They do? Me: (Verbal response) They do? How do you know what my readers want? HER: Ninety-nine percent of marketing is research. I’ve done my research. I’ve studied other author web sites and blogs for content. Me: (Mental response) That sounds boring. Me: (Verbal response) I guess if I’m paying you for your expertise I should listen to your advice. Me: (Mental thought) I’ll ask the readers what they like to see on an author’s web site. Do readers look at author’s web sites? What are they looking for on an author web site? Do they read their blogs? Do they want to be Facebook friends or follow them on Twitter? Do they want to enter contests? What do they like as a reward? The winner having a character named after them? 1) Authors want readers to love their books. 2) Authors want readers to buy their books. 3) Authors want readers to tell all their friends how much they loved the author’s book(s). 4) Authors want readers to encourage all of their friends to buy and read the author’s book(s). What I hope readers want from an author is a really good book they can enjoy and escape into for a little while. A book that takes them out of their own world, gives them a break from their own reality, uplifts, inspires, or maybe just entertains them for a couple of hours. If there’s something else readers expect from authors I don’t know what it is. And in my own words as an author, “I write what I write.” Humor, emotion, romance, love, happy endings. How are readers going to find me? 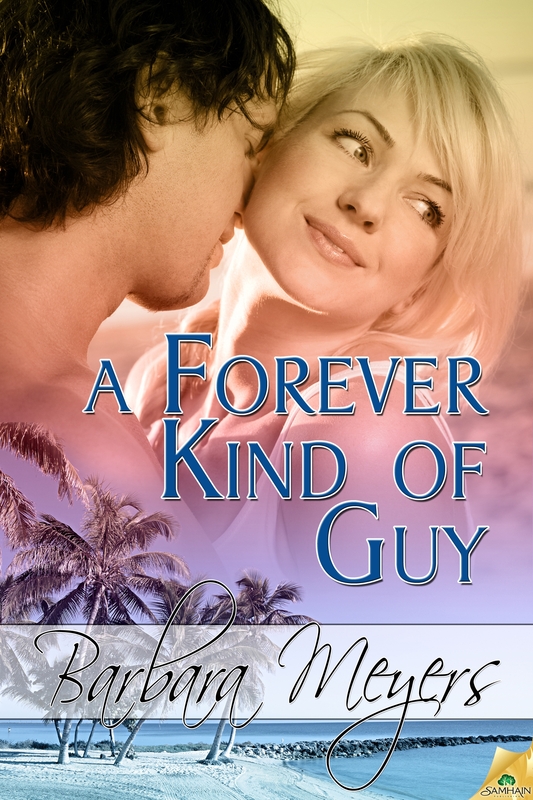 Check out A Forever Kind of Guy coming from Samhain publishing in October 2011.
a forever kind of guy, barbara meyers, Books, marketing, readers, Reading. Bookmark. Have You Been Where Your Parents Were Born?